You'll Get Instant Access To Over 9,000 Woodworking Plans For Furniture & Crafts! With An Easy To Search Catalog, Complete Blueprints, Material Lists & Full Color Instructions For All Types Of Home Furniture & Crafts! I f you are reading this page then it is likely that we have something in common. We both like working with wood. In fact we probably both LOVE working with wood. I am also going to assume that you have a big problem. You see I had the same problem in the past so I understand. Have You Wasted Countless Hours And Dollars And Been Incredibly Frustrated By Your Poor Results Because You Chose To Wing It Or Followed Poor Woodworking Plans? You know, it's funny really. Most of us try to take shortcuts to save time and/or money with just about anything in life, including hobbies like woodworking. And we never seem to learn our lesson. In the end these types of shortcuts only lead to frustration and a waste of time and money! But it wasn't always that way. I used to take shortcuts to save time and money - only it never worked out that way. 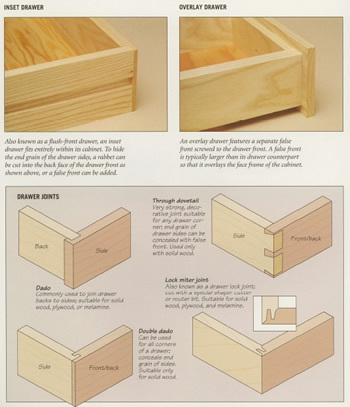 At one point I came to the realization that I needed to take my professionalism up a notch and begin using woodworking plans to help me out with my project. The Majority Of Woodworking Plans On The Market Are Vague, Hard To Read And Will Only Leave You More Frustrated Than You Were Before! 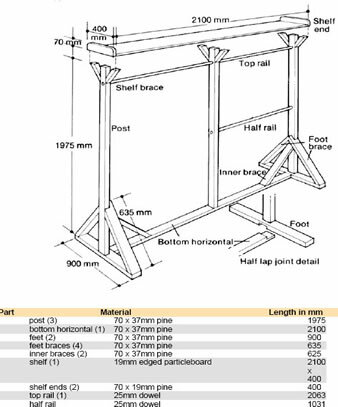 What stared out as a good intention (to buy woodworking plans to help me out) only lead to more frustration. I was no further ahead, even after spending my hard earned money on some plans to help me out. Truth is, I wanted to get my hands on high quality furniture and craft plans. But, the problem is, all of the plans that I could find were hard to read, incomplete, and did very little, if anything, to help the situation. Having said that, there were definitely some diamonds amongst all of the crap out there. 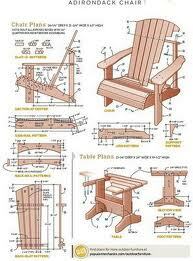 It took me years to compile my collection of woodworking plans. I am still collecting (I don't think I'll ever be finished) but currently, at the time of writing this letter to you, I have over 9,000 plans! The Easy To Use Bundle Of Over 9,000 Designer & Classic Woodworking Plans That Enable You To Make Amazing Wooden Furniture And Other Wood Craft Projects! The FurnitureCraftPlans® package is unlike anything that has ever been created. 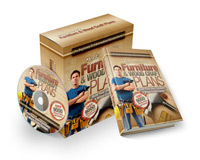 Inside this life-changing collection, you’ll be empowered with more than 9,000 woodworking plans for your home furniture, wood crafts, and just about anything made of wood. 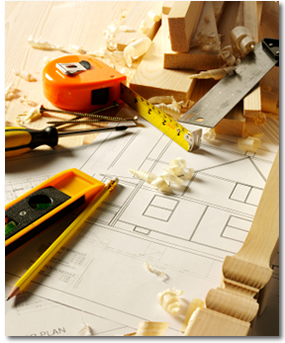 With my plans in your possession, there’s virtually NO LIMIT to what you can create or build. You see, every single plan inside this guide was specifically made with the simple builder in mind. If you were able to find one suitable project plan everyday it would still take you well over 24 years to put together an amazing collection such as this! You get over 9,000 plans to keep for life. Use them for inspiration or easily search through them when you have a new project you want to make. Covers all types of home furniture, small wood craft plans, and everything in between! If you can dream it, I've got the plan for it. Save thousands of dollars with our plans for high-end designer wooden furniture. Build them by following easy-to-follow directions. Contains some of the EXACT plans for designer furniture projects! (large or small - it's all covered here). Each project comes with detailed blueprints, schematics, step-by-step instructions, full color guides, as well as the complete materials lists! The plans are kept in an easily searchable database so there's no need to scroll through all 9,000 plans - simply pull up the plan you are looking for with an easy search function. Your current skill level doesn't matter - everything is laid out step-by-step in precise detail (it's virtually impossible to fail if you take the time to follow the instructions). Cool woodworking tips and resources for you to produce your projects even faster without any loss of quality on the finished product! You get a complete tools and materials list so there is no guess work (how much time and money have you wasted by returning to the orange big-box store to grab tools or supplies that you didn't think of when you weren't using a great project plan)! Plus you get FREE LIFE-TIME updates! That means you'll get access to every new plan I release - so you'll never run out of ideas. Simply put, FurnitureCraftPlans® contains everything you need to start making beautiful furniture (and other crafts) almost immediately - and with zero frustration or wasted money. "These are solid plans that get the job done. The step-by-step instructions are very intuitive and easy to follow. 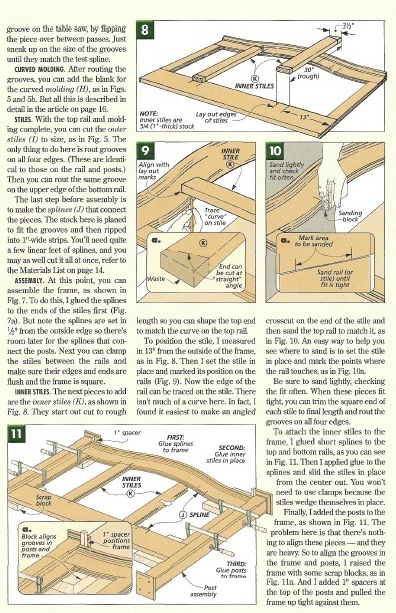 Great for anyone who wants an easy way to start and complete woodworking projects." Everybody likes to 'try before you buy'. After all, I don't expect you to take my word for the quality of my plans. Step-By-Step Guides With "Easy To Follow" Instructions In Full Color! So now you've seen the quality first hand. There are over 9,000 more plans just like this one (many are even more detailed!). How much time and money do you think these plans will save you over a lifetime? I honestly believe that they will save you thousands of dollars in wasted time, materials, and money. "This is the best investment I've made in a long time. Mark's plans saved me thousands of dollars and provided me the joy of building my own custom bookshelf. The wife loves it!" 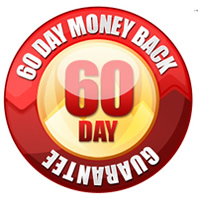 "This package is a great bargain. 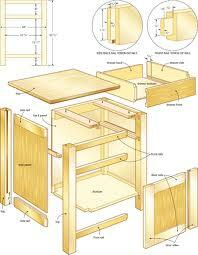 You get plans from basic crafts up to large furniture designs and it is easy to follow. It completely exceeded all my expectations"
"The plans include detailed cut-outs and materials lists which are very useful." I really enjoyed the collection. 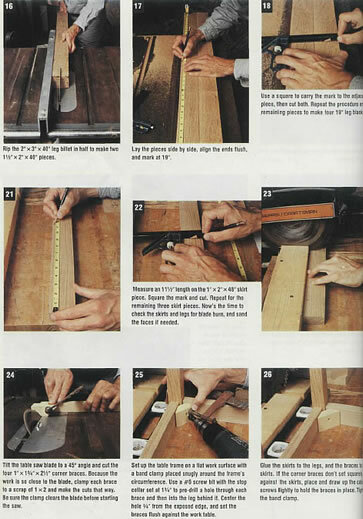 Highly recommended for novice and professional woodworkers alike!" The plans in FurnitureCraftPlans are the same plans I have used my entire career to create stunning furniture and crafts, over and over again. 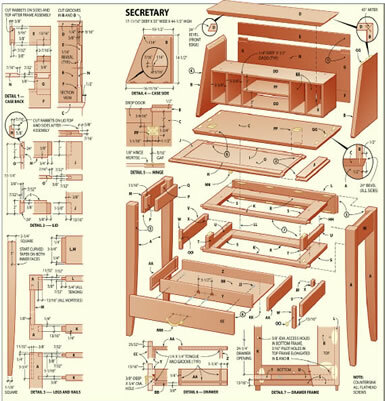 ...packaged and categorized neatly in the most fascinating woodworking plans collection you're ever going to lay your hands on. The simple "nail it down in your brain" instructions in the plans are designed to make each step super easy-to-follow. So you're not dealing with theory. You can go read a book for theory. No. 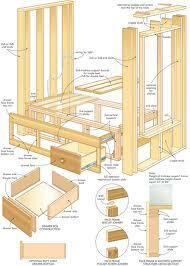 Instead, you are ACTIVELY LEARNING THE EXACT STEPS that master craftsmen use to build and design stunning woodwork. The plans take you through the entire process. Step by step. ... this collection is a concise, packed-solid " one stop resource " for helping you build, craft and create stunning projects like the professionals! Here's my shameless bribe. If you order today, I will throw in this great bonus at no cost. This free guide is worth more than the small investment in Furniture Craft Plans itself! 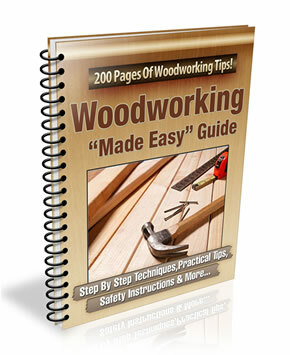 Get over 200 pages of step-by-step woodworking tips and tricks! 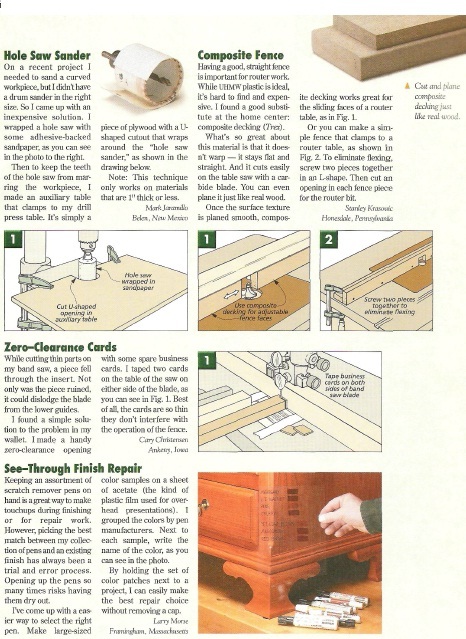 These guides cover all of the bases - from how to use various woodworking tools properly and effectively to how to do advanced techniques like 'dovetailing'! You'll learn all of the techniques, including jointing, bonding, fastening, laminating and more! Remember, this is a time-limited bonus and if you want to take advantage of this offer then you need to do so right away as I may take it down at anytime. Please don't be angry if you return to this site later and find the bonus offer is gone or the price has increased. Especially considering the thousands of plans you'll get, and the one-stop-resource this entire package gives you for specific building advice, step-by-step instructions and proven professional techniques. Lets face it: A set of designer wardrobes sells for more than $500. With our package, you get 9,000 different plans that you can start building right away. Obviously, you won't use all 9,000 in your lifetime. At their prices, after your 1st project, ours are essentially paid for and each additional project is free. ... is just $328 $197 $77. with INSTANT ACCESS + a free bonus guide! For less than 80 bucks you can save a ton of money and countless hours of frustration on your projects. ... you are not on the hook, even a little bit, by checking this system out, personally. ... simply drop me an email explaining it.. and you will receive a prompt refund. This is a very reasonable guarantee , and I hope you clearly understand why I have this single condition. I bent over backwards to create this package -- literally taking me 3 years to do so. It's worked for so many people, that I'm betting it will work for you, too... if you'll just give it the slightest chance. And if it doesn't... you get your refund, promptly and without hassle. If you want to secure your copy, order now and I will send you immediate access. You Risk Nothing... As Long As You Give It A Try! No one can ever take this skill away from you. You will never be at the mercy of rogue workshops or overpriced woodwork! Learning this gives you total independence. And when you DO decide to purchase wood furniture or crafts... you will not be at their mercy. You will know EXACTLY what you need... and how it should BE done! ... or to walk away, giving in to the nonsensical belief that you can't do this. FurnitureCraftPlans is a digitally downloaded product. This means that you can have access to it immediately and be starting on your first project in minutes. And just to show you we've thought of everything, you can have your plans on a DVD so that you can keep a copy as a backup. These plans will help you for life. "If you enjoy woodworking and are considering building some furniture or crafts, this isn't something you SHOULD use, it's something that you would be insane not to... The level of detail and the sheer amount of plans is mind-boggling." "I bought this FurnitureCraftPlans to get more ideas for new projects and it didn't disappoint. It is jammed packed with tons of inspirations. It is a joy to learn from Mark and I look forward to more plans in future"
I know these plans will work for you. Others did it, often with less technical ability and experience. Remember, my plans work for both beginners and advanced users. In fact, what you are about to finally discover are the plans that professional woodworkers are using. It's your turn to get on the inside for a change. But you must hurry as I plan to take this offer down soon. Order now, while you're thinking about it. And your woodworking project can begin right away. P.P.S: Frankly, if you'd like to work with wood, and you start and complete woodworking projects easily, quickly and inexpensively, then this might be the most important package you'll ever purchase.